We are a small cattery located near Corpus Christi, TX. We raise our kittens in our home with children and other pets. They are loved and played with by everyone and as a result of this socialization, they are loving, friendly, playful and very out going! We raise our kitty babies how we would like to have them if we were buying a kitten. We have Supreme Grand Champion bloodlines with excellent personalities, temperaments, and outstanding qualities. We have brown, silver, snow and blue rosetted cats with highly contrasted, glittered, plush pelts. Our kittens receive a vet check before going to their forever homes to ensure that they are healthy along with a personalized information card and health guarantee. Please feel free to contact us or visit the web site for further information on available kittens and adult cats. We are a small Tica registered home cattery in New Braunfels, Texas. 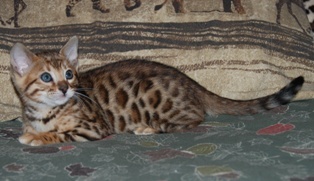 With our excellent bloodlines, we produce outstandingly beautiful Bengals with sweet temperaments. 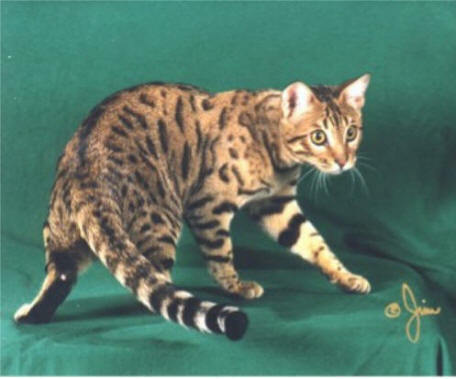 Our goal is to place well-socialized Bengals to further the Bengal breed and bring joy to families. Accepting deposits for upcoming litters. Call for details on up-coming litters 830-494-1672 or 830-625-1520 ATT Cell. After I retired from the Air Force, I focus my attention on my grandsons. They are teenagers so I didn't feel needed as much. Then my sons started being involved with bengals and now my life has changed forever. 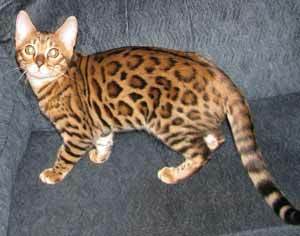 Bengals are amazing and I do my best taking care of them and giving them the special love and attention they need. We are a small, in-house cattery located in the great state of Texas. 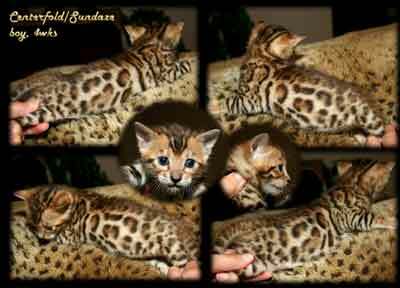 Our Bengal Kittens for sale and our Savannah Kittens for sale are born, raised, and personally supervised by our immediate family. 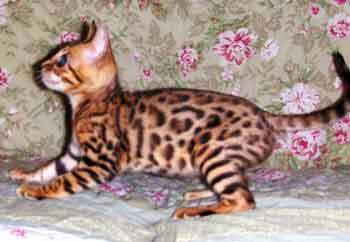 Our Bengal Cats for sale and our Savannah Cats for sale are also personally supervised by our immediate family. All Bengal Kittens, Savannah Kittens, Bengal Cats, and Savannah Cats are routinely handled and socialized and normally come with a 8 year congenital health guarantee documented via contract. We have decreased this guarantee to 1 year and extended it to 10 years depending on specific circumstances. All pets are spayed/neutered, microchipped, and health checked by our vet before being re-homed. 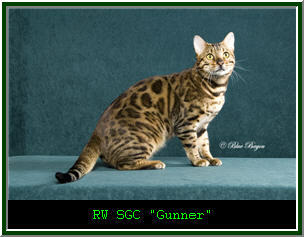 We will not release any bengal cats, savannah cats, bengal kittens, and savannah kittens unless approved by our vet! Please visit us at www.aloracats.com for more information. 2017-2018 Show Season LA Aloracats Nikolaj (IW as an adult) - The Lifetime Achievement (LA) award is the highest award given by TICA. Niko is our winningest cat in our program. 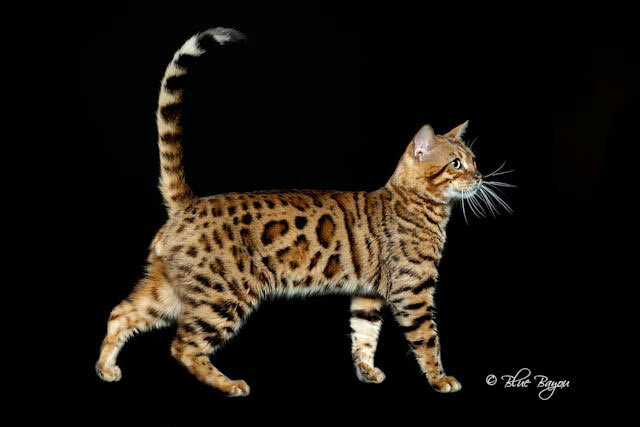 His father is RW Supreme Grand Champion Zuriel of Aloracats (Zuriel was the #8 Bengal Cat in the world in 2013) and his grandfather is IW Supreme Grand Champion Batifoleurs Rango (Rango was the #1 Bengal Cat in the world in 2013).